Now that Boxing Day is upon us, the 2015 World Junior Hockey Championships will begin to commence today in Toronto and Montreal. You will hear multiple story lines throughout the tournament. Among them is how a once in a generation 18-year old in Connor McDavid can help put an end to Canada’s five year gold medal drought. Another is whether two Boston area college freshman in Jack Eichel and Noah Hanifan can lead team USA to gold. However, there will be other 17-20 year olds that will impress at the 12-day event: including many more players that you will hear about in next summer’s NHL draft. Let’s take a look at them in this month’s edition of hipster pickings. While all the talk is surrounding Hanifin and Eichel for team USA, let’s talk about one that could dominate the headlines in 2016 before he becomes too cool for everyone. The Scottsdale, Arizona native only becomes 2016-eligible because his birthday (September 17th) is two days short of the 2015-eligible deadline. After impressing the higher-ups of USA hockey while playing for the Arizona Bobcats Midget team, Matthews would join the U.S. National Team Development program and play at last year’s Under-18 World Championships as a 16-year old. In that tournament, Matthews tied Eichel in goals (5) and was third on the team in points (7) for the gold medal winning Americans. After this season with the U.S. National Development Program, he will be playing for either the Everett Silvertips of the Western Hockey League (whom own his draft rights) or for Boston, Boston College, Michigan, North Dakota or Denver in college. One other 2015-eligible American you should see in the first round in next summer’s draft is Werenski. As a freshman in Michigan, Werenski is already making himself comfortable by recording 12 points in 15 games for the Maize and Blue. Having fellow U.S. teammates Dylan Larkin (Detroit) and J.T. Compher (Buffalo) helps in that regard too. Considering the leading point-getter from the blue line for Red Berenson’s men was only 14 last year, that is a welcoming sign for a team that has been under-acheiving and missing NCAA tournaments the last couple of years. Last year, Werenski was usually partnering with Hanifin on the blue line for the National Development program. Along with great offensive upside, scouts rave about his two-way play and his decision making under pressure. This will be Werenski’s first major international junior tournament after only playing in the Under-17 World Challenge last year. With only 16 points in 24 games so far with the Kingston Frontenacs in the Ontario Hockey League, you would think that better players, including other 2015 draft eligible players, could be playing for Canada in this year’s World Juniors. Instead, Crouse is on the team for his size (6’4″, 212 pounds) and hard fore-checking ability. Remember, forwards like Tom Wilson find a way to get drafted pretty highly without scoring lots of goals because of the over-cluttered list of “next Milan Lucic” types. However, Crouse does have international experience by winning a bronze medal at last year’s Under-18 World Championships (one point in seven games) and a gold medal at last summer’s Ivan Hlinka Memorial tournament (six points in five games). Outside of the loaded talent that Canada and the United States is bringing to Toronto and Montreal, the other storyline heading into this tournament is the potential resurgence of Czech hockey. After Jakub Vrana and David Pastrnak were first round picks in last summer’s draft, there will be another Czech forward that could be drafted within the top five picks in this summer’s draft. That hasn’t happened since Rostislav Klesla in 2000 and no Czech player has been drafted in the top ten since Jakub Voracek in 2007. At 6’3″ and 203 pounds, Zacha is another wrecking ball, let alone a power forward that can impress at the World Juniors. This will be his second stint at the event after going pointless in five games in last year’s tournament. 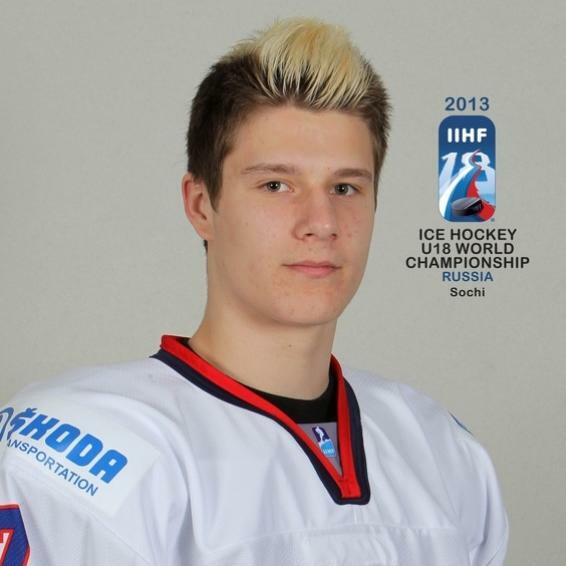 Still, he was a force at the Under-18 level (five points in seven games at the Under-18 Worlds and three points in four games at the Ivan Hlinka Memorial) and the Czech Extraliga had to change their rules to allow Zacha to play for his Liberec team at age 16. This year, he was selected first overall for the always internationally friendly Sarnia Sting in the CHL import draft and has not disappointed scoring-wise (19 points in 21 games). However, he has been suspended eight games this OHL season for a slew foot and a boarding penalty. Provorov is another of a long list of Russian-born players plying their trade in North America and proving scouts that they can be comfortable playing in the shorter ice surfaces there. After two years of playing midget hockey at Wilkes-Barre Scranton, Provorov played for Cedar Rapids in the USHL at age-16. This year, he is with the Brandon Wheat Kings and has racked up 37 points in 35 games so far this season. Scouts see him as a defenseman with a heavily accurate shot and can dictate play on the offensive zone from the point. Like Crouse, Rantanen is a big bodied forward that attacks the net hard when he is at his best. But with one goal in 30 Finnish League games with TPS Tarku, scouts are questioning the accuracy of his shot and whether he can add more to his 6’3″, 194 pound frame at the NHL level. Still, like all Europeans playing at their country’s top professional level, everything is a growing process and just getting experience and producing solid numbers is enough to entice NHL teams to draft you in the first round. Rantanen has currently played 82 career games in the Liiga and performed really well at the Under-18 International level last year (five points in five games at the World Under-18s and seven points in four games at the Ivan Hlinka Memorial). Unlike previous years, Sweden’s Under-20 team is not as deep and talented as it has been. William Nylander will be the one to watch, but eyes could have also been on potential top-ten pick Kylington and how he plays offensively from the point. Sadly, an undisclosed injury he suffered playing against Canada in a warm-up game will prevent him from playing at the World Juniors. Scouts wanted to see if this Erik Karlsson level offensive wizard can be able to silence his critics for his lack of ability on the backend. Kylington has played in 49 career Swedish Hockey League games for Farjestads BK but has lacked an elite resume in international competition so far (three points in five games at the Ivan Hlinka Tournament and no participation at the Under-18 Worlds). He has played well since being loaned to AIK in the Allsvansken (Swedish second division), putting up six points in ten games.